THIS IS A MUST SEE! 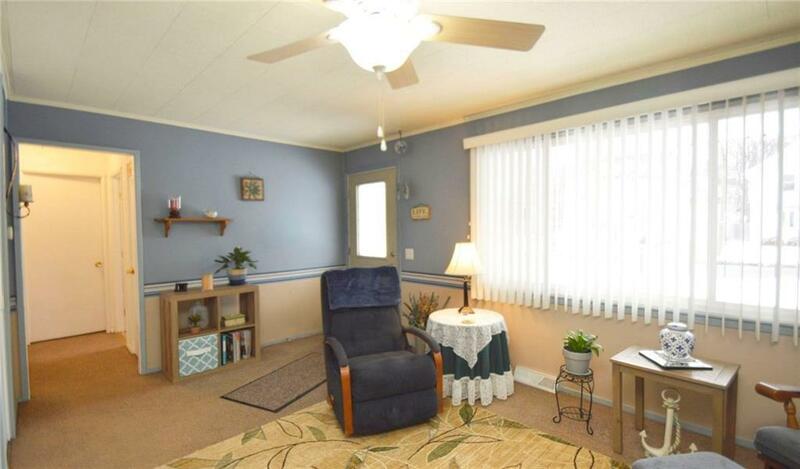 This cozy ranch has been very well maintained inside and out. With 3 bedrooms (one currently used as a den), and 1 full bath including a deep soaking tub, this house has it all. Relax on the back "Trex" deck with the shade from the retractable awning. Updates include Tear-off Roof, Vinyl Windows, Vinyl Siding, Gutters, Exterior Doors & Storms, Water Heater, New Driveway (tear-out), Vented glass block windows in basement and garage. A/C 10 yrs. Basement has many nooks and cranny's and adds nearly 900 additional sf. All appliances included. Hurry this one won't last! Directions To Property: Take Rt. 104 To Lake Avenue. Merrill Is On The Left And Runs Between Dewey And Lake. Nearest Cross Street: Lake Ave.